DATE change for our Fundraiser! Feb. 5 is our new date, thanks to crazy weather. 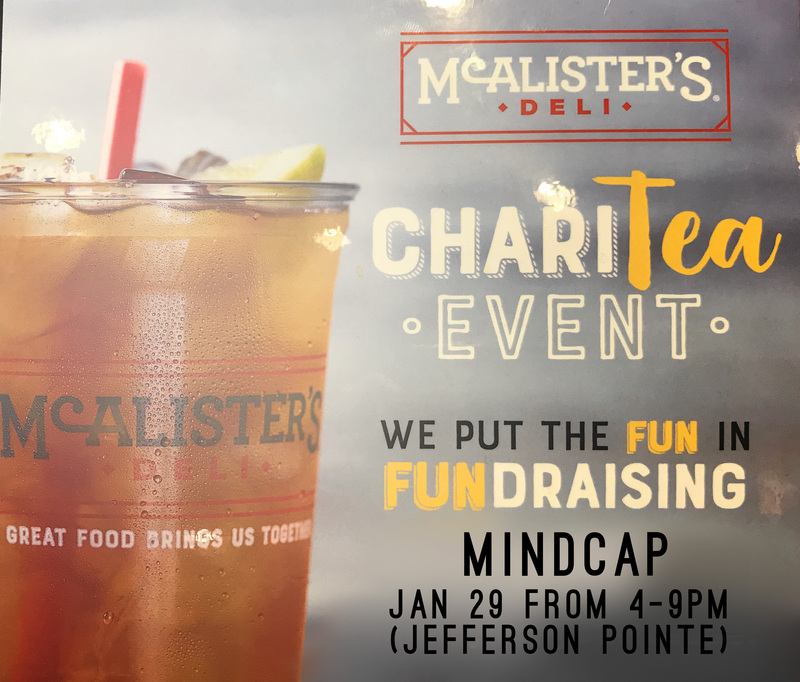 Meet us at McAlister's at Jefferson Point for fabulous food. The MINDCAP team will be there to greet you! Bring friends and family!